Skeuomorphism is a mouthful of a word, that’s for sure. If you’ve read any reviews for the newly redesigned iPhone interface in iOS 7, you’ve probably seen it pop up. 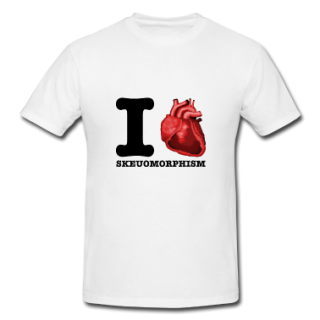 Pronounced “skew-a-morph-ism”, it concept of design that makes an object imitate the look or feel of another. In software, where it is most often referenced, skeuomorphism has been a favorite of Apple up until their recent redesign. Their calendar app looked like a paper calendar, or you could set a digital clock to have hands like a regular clock. 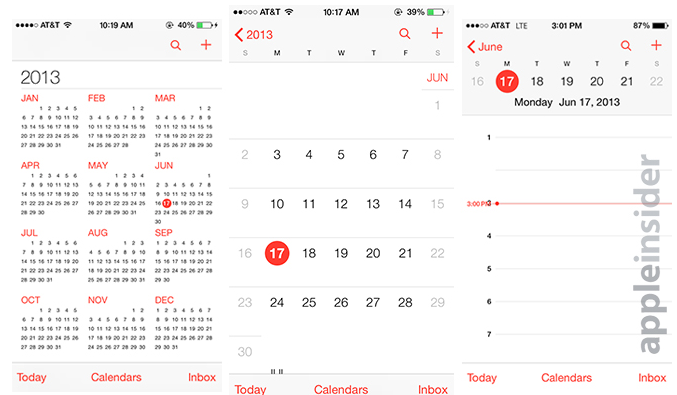 Similar format, but no more faux-paper background for the calendar app in iOs 7. Why cling to the old look with new technology? It often makes the user more comfortable in a new platform or interface. They recognize a calendar whether it is sitting on their desk or shining from the screen of their phone. In an unfamiliar setting, such as someone who is using a smartphone for the first time, these familiar sights help them recognize and navigate a new technology. Clinging to an old appearance isn’t always a great idea though. There is no reason for a digital calendar to look like a real calendar. Paper wasn’t chosen for a calendar sine it was the optimal design, but because it was the material available at the time calendars first became prevalent. That’s one of the reasons Apple has moved away from skeuomorphic designs in their new operating system. They are turning the focus from familiarity to usability. So even though you may not recognize your calendar on the first view, it will hopefully work better than an old paper calendar ever could of.